The billboards with creative strikingly similar to the Fyre Festival appeared all over NYC in March. 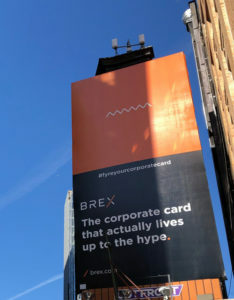 This month, the campaign rolled out across the city on over a dozen billboards and 1,000 subway cars with the tagline “The Corporate Card that actually lives up to the hype.” The goal is to encourage small businesses to #fryeyourcorporatecard and switch to Brex, says Michael Tannenbaum, CFO of Brex Inc. The two-year-old company allows users to qualify for their card based on their bank account, rather than personal credit score. The initial offering targeted start-ups and early stage tech companies, and a new card introduced earlier ths month is tailored to the needs of ecommerce businesses. 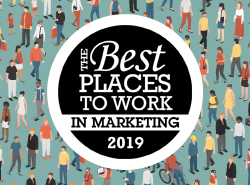 From the start, Brex has been very active in PR and outdoor advertising, using an aggressive billboard strategy in San Francisco when the company launched. Channel relationships with start-up accelerator programs that focus on investing have also proved helpful. Taking a humorous jab at Fyre—which had its beginnings in the Magnises membership card, which offered perks and benefits for entrepreneurs—seemed like a natural, notes Tannenbaum. Because the average person walking down the street in New York might not see or identify with a start-up, they wanted the campaign to talk about something that was culturally timely. Creative for the campaign—complete with an orange graphic strikingly similar to the Fyre Festival logo—was produced in-house. Creative also carried over into Brex’s social media presences. Twitter traditionally performs best for the brand, because founders tend to be active on the channel, following other influential people. Because there is a physical product—the card itself—that has also lent itself to Instagrammable moments. The creative from this campaign was rolled out in several different snippets, to create a mosaic effect on the brand’s Instagram page. A multitouch attribution model is use to track the success of efforts to influence new card sign-ups and awareness. 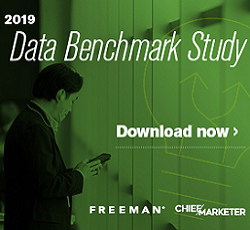 To create engagement on social and beyond, a sweepstakes offering card holders to “Fyre your corporate card and get flown to the Bahamas” was held throughout March. Every card holder who posted a photo of themselves “fyring” their old corporate card with the campaign hashtag to Twitter or Instagram and the tag @BrexHQ was entered to win an all-expenses paid trip for four to Paradise, Bahamas in May.